Another way of saying this is that the long-term natural rate of interest, the long-term interest rate consistent with underlying economic fundamentals, is starting to rise. This is an important point because it undermines the claim made by folks like Bill Gross that the Fed is harming savers and investors keeping interest rates low. 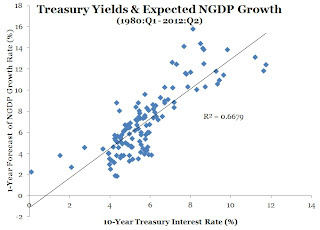 While it is true that the Fed’s large scale asset purchases (LSAPs) over the past few years probably have lowered the risk premium on long-term yields, this effect has been shown to be small compared to the 300 basis points plus drop in the 10-year treasury interest rate since 2007. 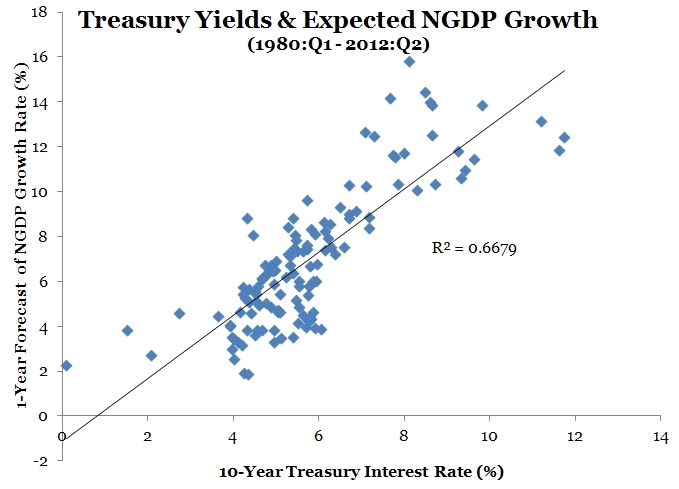 What really was driving down long-term yields was a weakened global economy. Now that there are signs that it is improving, savers and investors should begin to earn higher real returns. So much for the financial repression view. Had it been better understood by the public that causality runs from improved economic outlook to higher interest rates, and not the other way around, the maybe there would have been more willingness by Fed officials to do to fully restore aggregate demand. I hope this lesson gets learned and it is not repeated.